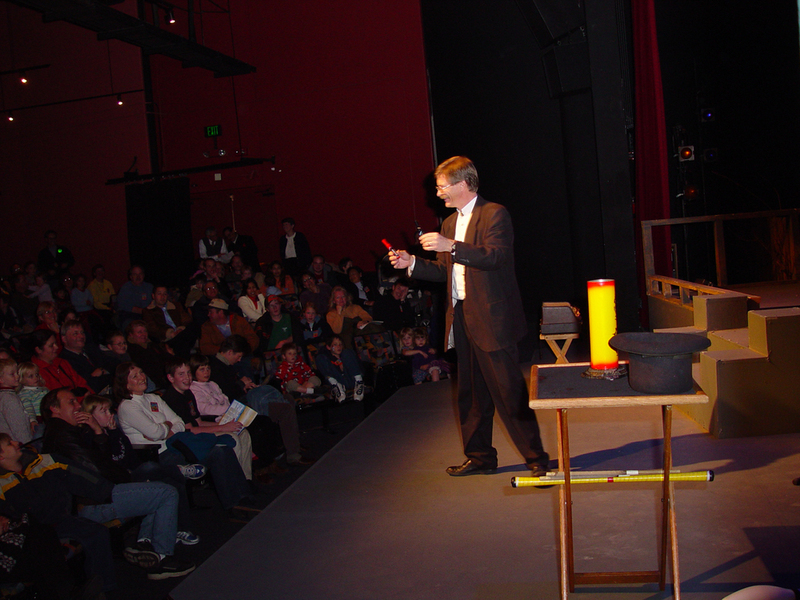 Cody combines the skills of comedy magic, astonishing sleight of hand and masterful juggling into a custom tailored performance, designed to fit your program needs. He even works some of the people from your group right into the act adding to the fun for everyone. See the Knot that Jumps, Incredible Hat Tricks, Scarves vanish before your eyes, The Teleporting balls, Meet Otis the Mouse, Expert Lassoing, Amazing Juggling, Stunning Mind Reading, Balancing Stunts, A trick from Ancient India, Chinese Plate Spinning and much, much more. Cody's performance is suitable for any age, any occasion. Whether it's a small intimate party, a large corporate trade show, cocktail hour walk-around or an after banquet show, experience a memorable time, filled with laughter, mystery, fun and audience participation. Cody Landstrom has an extensive background as an entertainer and performer. Cody traveled and performed as a professional musician for over 17 years playing guitar, keyboards and mandolin for every imaginable venue, including several years with USO tours. In 1987 he teamed up with Eric Mead and the Great Loudini to form "Funny Business", a vaudeville style juggling, magic and comedy show that performed all over the west. On his own since 1989, Cody's performances for corporations, celebrities, and others, have left them laughing and mystified.